Vastint Hospitality was established in 2012 to generate long-term value by investing in and developing hotel and student properties across Europe. Vastint Hospitality is in the process of building a portfolio of at least 50 hotel investments across Europe over the next five years by acquiring sites for development predominantly in Germany, the United Kingdom, Italy, the Netherlands, France, Belgium, Austria and the Nordics. Vastint Hospitality has entered into an agreement with Marriott International to develop and own new limited service hotels under their new Moxy Hotels brand. The hotels will be operated under franchise agreements by third party operators and will be retained by Vastint Hospitality in its investment portfolio. The development sites will be in major business locations such as city centres, airports, business parks, exhibition centres and railway stations. 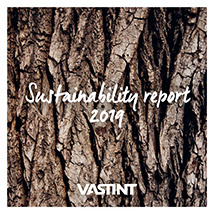 Vastint works towards positive long-term social, economical and environmental solutions and developments. All new buildings and refurbishments shall have an environmental certification, preferably according to internationally recognised certification systems. As high certification as reasonably possible shall be strived for, taking into consideration the circumstances of the individual project and the overall market situation.